Heat oil in wok, deep-fry the chicken till cooked. Add the curry leaves when chicken is half cooked. 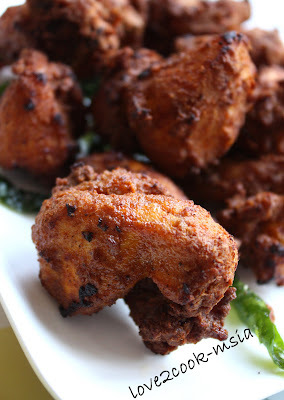 i'm trusting this recipe because i have indian friends who are good in frying chickens. I tried to do it myself, using the spices. somehow my chicken taste "malay". hehe. 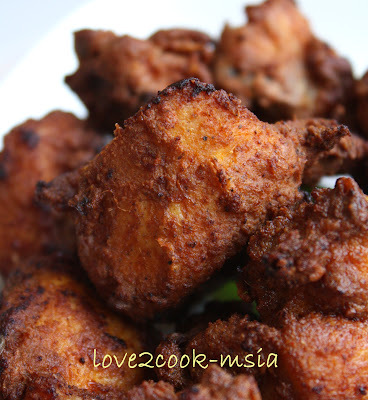 Uish Love Akak gi cuci bilik air saja...dah siap...menggoreng ayam...yummylicious....!! mesti anak2 Akak...suka kan? Mommy Ash-Levin --> Tks for the tips dear. This recipe is flourless. Sometimes my son dun really like the flour in chicken especially wheat flour. 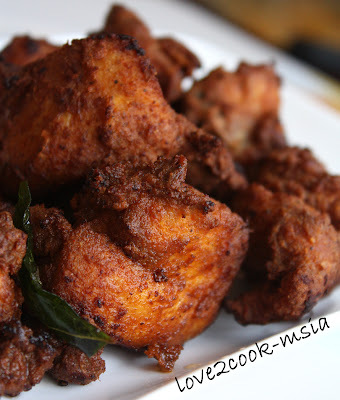 Thus, I dun add wheat flour in any of my fried chickens except for cornflour or other types of frying flour. ohohoh..ni pon nampak sangat la sedap ni... macam nak kena buat dengan kadar segera je.hehehe. 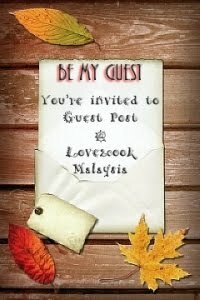 K.Ann --> Hehe, yes kak..leh buat side dish tuk NL. Taklah kak..krg nih Love kena virus 'M'..msk takde mood right now...hihi ;) alasan jer!